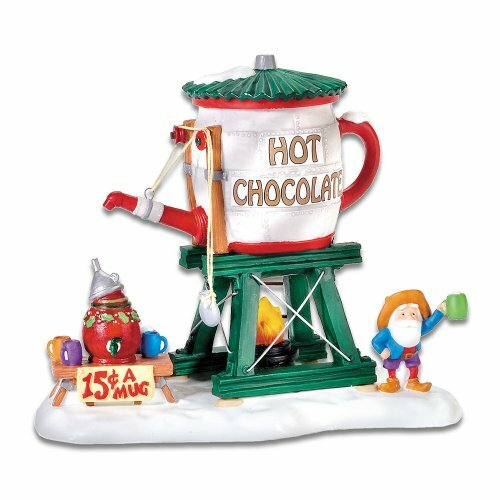 With the tower shaped like a pot of Hot Cocoa, this accessory is part of The North Pole Collection by Department 56. Hand-crafted and hand-painted porcelain figurine. 6 x 3.75 x 5"